Whether you are running a social network or a site for business purposes, your mission is to provide the best technology for people of similar Interests to meet. 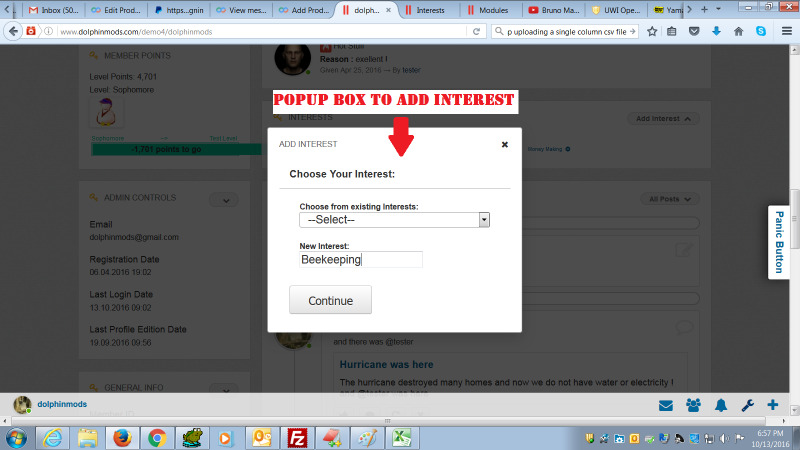 This concept of Interests is seen on popular social networks such as Badoo.com. This module allows members to select from an existing list of Interests or add their own. 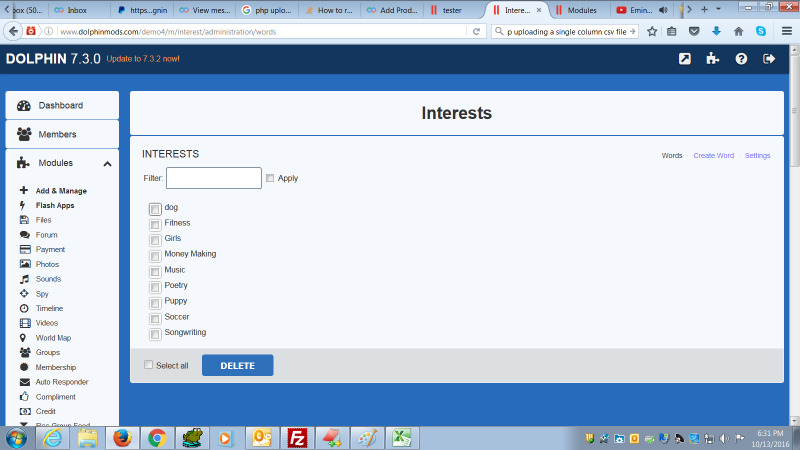 Each Interest that a member adds is also placed in the general pool of Interests that other members can select from. 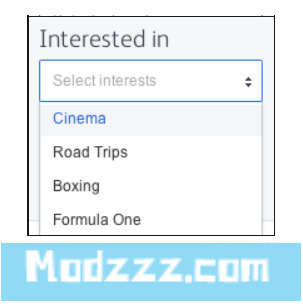 Interests are displayed on the Profile page. The Profile page block shows all the Interests for the member and also the Interests they share in common with the other member that is viewing the Profile. 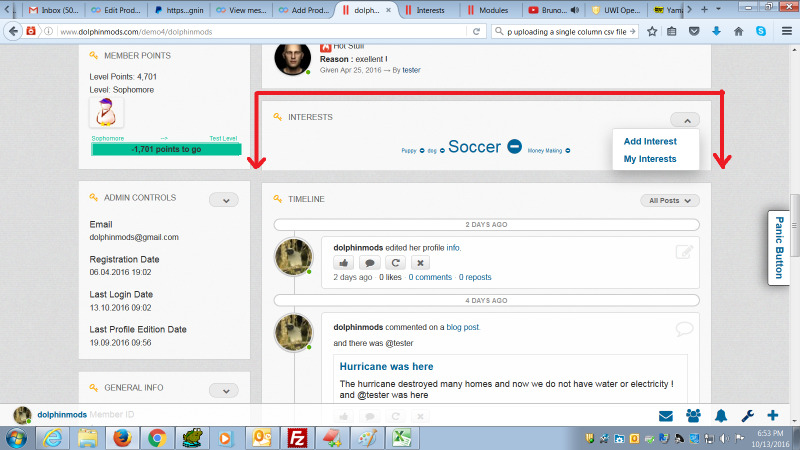 A member that is viewing a Profile can click on an interest they like and automatically add it to their Profile also. Members can remove Interest they previously added. Clicking on a particular interest will display a browsing page showing all the members that have that particular interest. 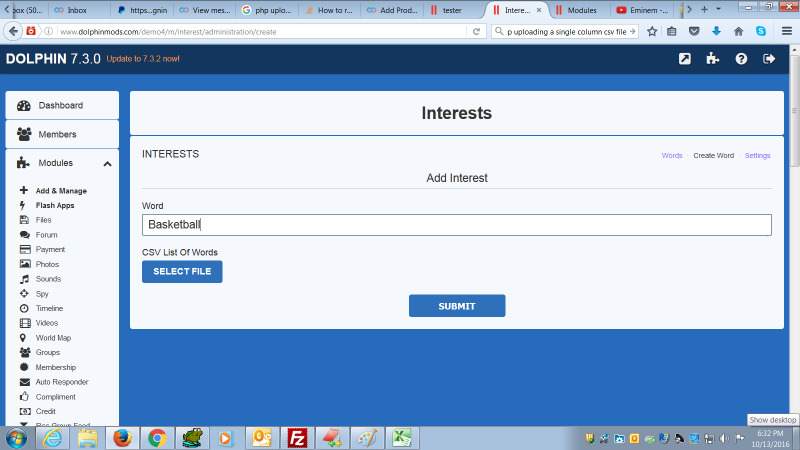 Admin can add words to the Pool of Interests either individually or by uploading a CSV file with a list of words. Very easy install. Works great.. Thank you Modzzz for another great product.